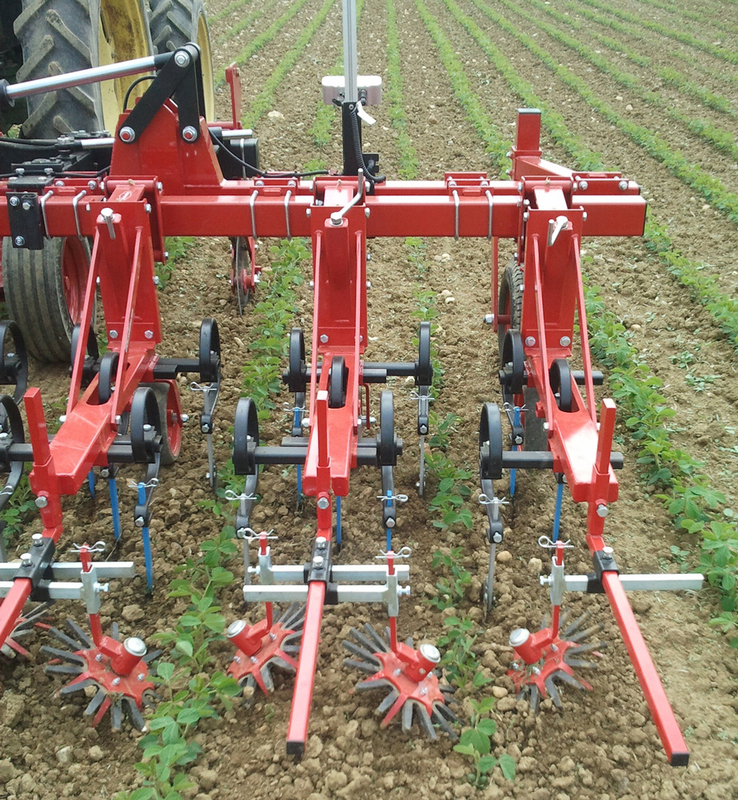 The Steketee Finger Weeder is an entirely new innovation in the challenging practice of inner-row mechanical weeding. 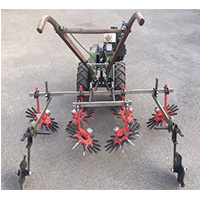 The Finger Weeder is specially designed to control small and just emerging weeds. 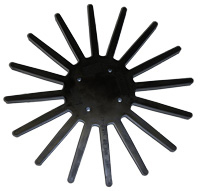 It consists of a steel turning disc with flexible polyurethane fingers or brush fingers on it. 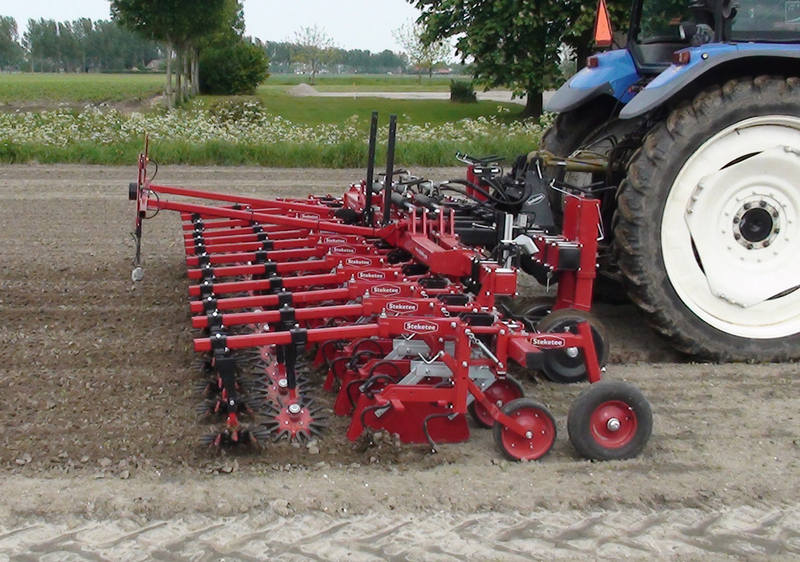 Depth and width adjustments are infinite. 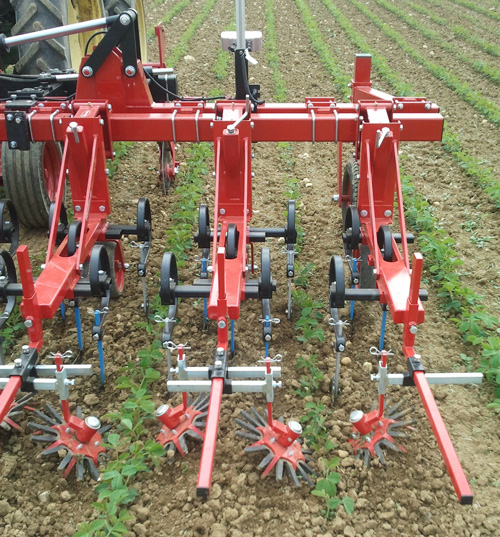 Polyurethane finger weeders are suitable for most crops. Brush finger weeders are an option for more delicate crops. 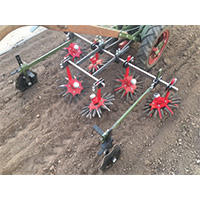 Finger Weeder "fingers" are quite durable but will wear out with extended use. 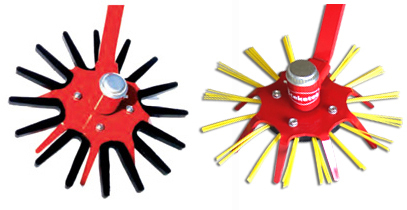 Inexpensive replacement disks are available for all style Finger Weeders. 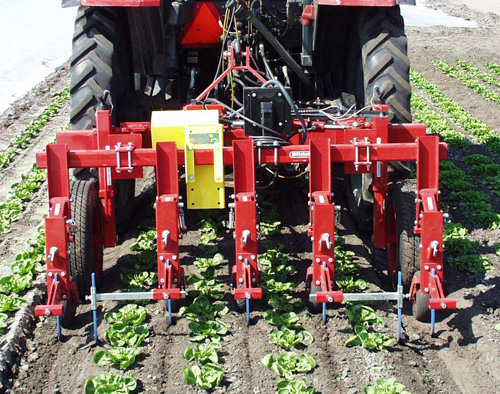 The Finger Weeder loosens soil while being gentle on existing crop (click pic to enlarge). 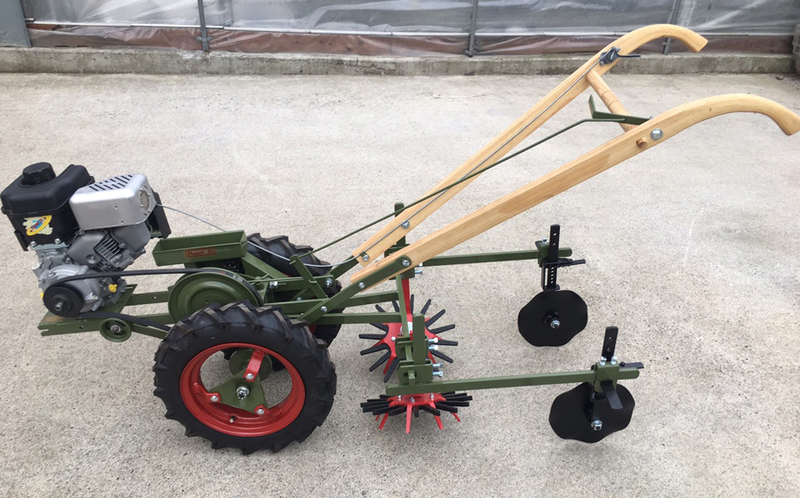 Folding bar allows for narrow transport of Finger Weeder (click pic to enlarge). 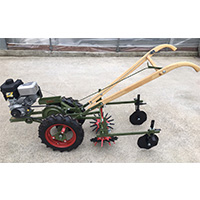 Spring Loaded Arms and Extension Brackes are available in different sizes and styles for mounting finger weeders. 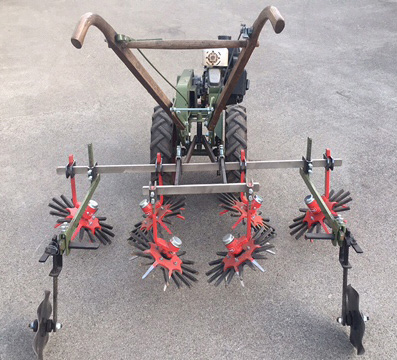 A wide variety of optional hoeing blades and tines can be used in conjunction with Finger Weeders to aid in between-row weeding. 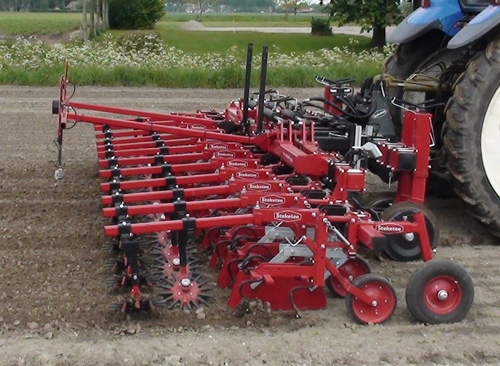 Popular blades and tines are readily available. 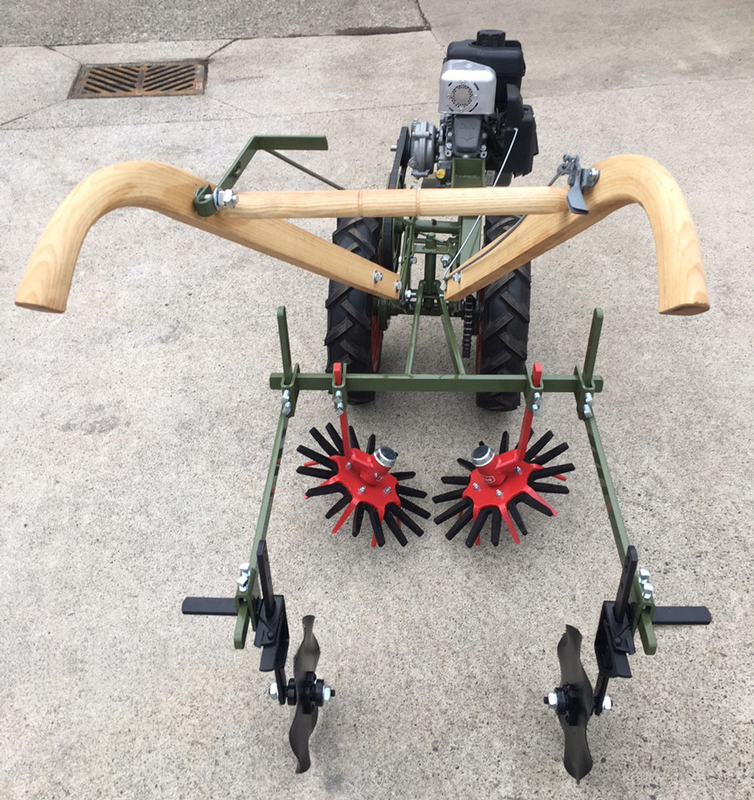 Less common options can be special ordered. 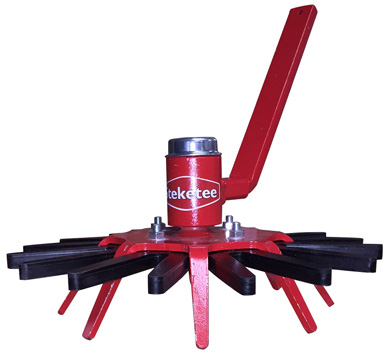 Visit our Steketee Weeding Implements page or online store for more details. Steketee Finger Weeders and accessories are affordable for small and large farms alike, and are adaptable to many types of implements. 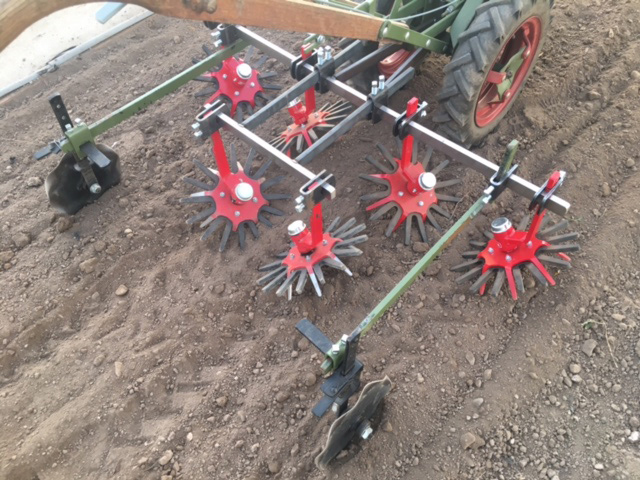 Photos below are courtesy of the enterprising Jason Weston of Joe's Gardens in Bellingham, WA (click to enlarge). 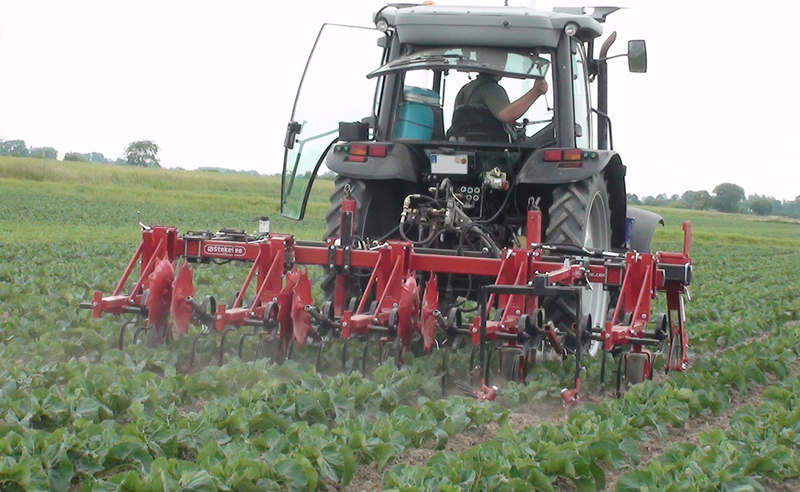 Be sure to visit their website, facebook page, and Market Garden Farmer® YouTube channel.